Airtron Heating & Air Conditioning is the go-to HVAC company in Dallas and Fort Worth, Texas. While the cities of Dallas and Fort Worth are certainly not lacking in both beauty and charm, the weather has a knack for keeping residents on their toes. This makes having a reliable heating and air conditioning company to call on for fast and reliable repair and installation contractors absolutely essential. Spring and autumn are generally the most pleasant seasons in and around the Dallas-Forth Worth area, at least as far as temperatures are concerned. Temperatures are mild and comfortable in the spring, although severe storms aren’t uncommon. Cool fronts moving down from Canada collide with the warmer, more humid Gulf Coast air right over north central Texas resulting in severe thunder and lightning storms, accompanied by torrential downpours, hail and the occasional tornado. Summer on the other hand, can be extremely hot, with the mercury often seen rising above 100° Fahrenheit and even higher when factoring in those heat-humidity indexes. While winters in the Dallas-Forth Worth region are, for the most part, mild, extreme cold temperatures and even an occasional bout of freezing rain aren’t completely unheard of. This winter, don’t get caught in the cold without a working furnace! A heating system should be seen as an investment, so taking care of it is imperative. Dallas-Fort Worth homeowners rely on their home heating systems to keep them warm during the winter. Our HVAC technicians are trained to handle all of your heating concerns, including heating repairs, furnace installation, system tune-ups and more. Summers in the Dallas-Fort Worth area can be brutal, so the last thing you want to worry about is your air conditioner breaking down. You can depend on our reliable air conditioning technicians to handle all of your cooling needs. Call for AC repair, system installation, regular air conditioning maintenance and more! Regular and on-going maintenance is absolutely essential when it comes to an efficient and long-lasting HVAC system. Protect your investment by purchasing a maintenance plan for your home heating and air conditioning system today. Our Essential Plans cover everything from repairs and tune-ups to system replacement and more. Thousands of homeowners rely on Airtron Dallas for dependable heating and cooling all year round. We are proud to be recognized for our convenience, reliability, and professionalism. But don’t just take our word. Read what your neighbors are saying about our services. 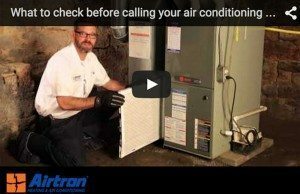 Given the unpredictable nature of weather in Dallas and Fort Worth, having the heating & AC experts at Airtron Dallas-Fort Worth at your beck and call makes sense. The last thing you want to worry about in the midst of one of those brutal cold spells, as infrequent as they may be, is your home heating system conking out. While our dependable HVAC technicians are available for immediate heating repair service, for extra peace of mind we highly recommend yearly pre-season furnace tune ups. 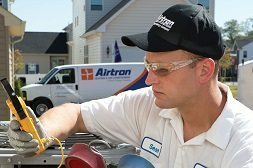 Airtron Dallas-Fort Worth also provides pre-season summer AC tune ups in addition to a bevy of air conditioning repair and installation services. At Airtron Heating & Air Conditioning, we want you and your family to be comfortable no matter what the weather is doing outside. Am 100% satisfied with the service and your employees. I appreciate your immediate email with the statement of serviced rendered. My technician, Dung, is always great! He is very knowledgeable and always has a pleasant attitude. Thank you for continually assigning him to do my work. Airtron Technician DUNGuyen serviced tuned up our unitsunits on 10? 22/18. He was very courteous, arrived on time, and apparently did a good job. Koo Doos to him. We have been happy because of the good service and whoever comes to service has known what they are doing. Always friendly and helpful.